* Result may vary depending on each patient anatomy. Case # 12021...........................Age 53..............................Weight 150...........................Height 5’4”............................. 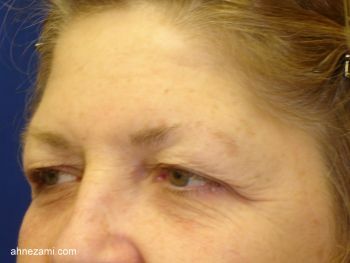 This Jacksonville resident was referred to Jacksonville Cosmetic Surgery Center by her friend and patient of Dr. Nezami for blepharoplasty. 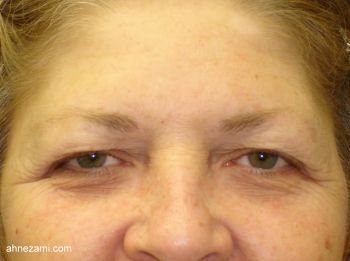 This patient was very happy with the result of her upper eyelids surgery. 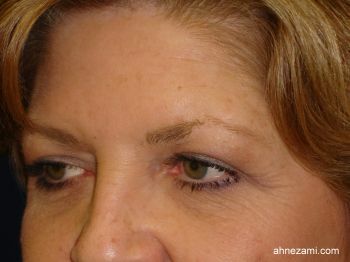 She became a regular patient for Botox and Juvederm injections. 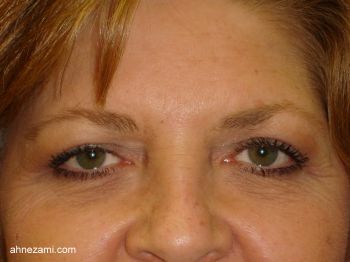 She started using our skin care department for her facial rejuvenation and products. She referred 5 of her friends to Jacksonville Cosmetic Surgery Center.